'Justice Speaking' will be Live Law’s exclusive series of interviews with eminent Supreme Court and High Court Judges. Live Law spoke to Justice K Chandru, retired Judge of the Madras High Court. Justice Chandru was first appointed as an Additional Judge of the Madras High Court on 31st July, 2006 and later a Permanent Judge on 9th November, 2009. He retired recently on 8th March 8, 2013. During his tenure at the Madras High Court, Justice Chandru disposed nearly 96,000 cases and was popular as a “People’s Judge”. 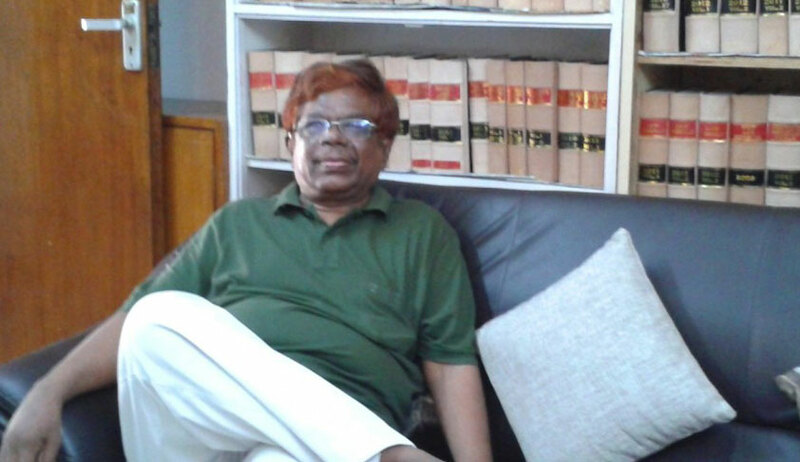 In this interesting conversation with Live Law Justice Chandru speaks about his post retirement plans, judicial accountability, on working with Justice Markandey Katju and many other interesting things. Live Law: It is said that you did not wish to be a part of the Supreme Court or tribunals. Why? Justice Chandru: I didn’t go to the Supreme Court post retirement because my practice is here and I won’t be able to do many things if I want to be there. I had decided long back that I must do things for the public and so I stayed on. The other thing is that I’ll have to start from scratch as a lawyer in the Supreme Court and that is promising only to those who want to make money. I am not interested in making money. As for tribunals, there are exclusive tribunals for retired judges. But these tribunals are subordinate to the High Court. As a matter of principle, I believe that no tribunal should be accepted. So, I decided not to take up a demotive status. Live Law: What are your post retirement plans? Do you intend to write any books? Justice Chandru: I sit in this office that I have rented out for myself and do some consultancy for lawyers who want help. Other than that, I write in newspapers and magazines. One of my retirement plans was to take part in public debates. I write articles on a variety of cases including a series of peculiar cases that come to court. I also write for women’s fortnightly magazines. I deliver lectures in colleges like IIT Madras regarding law and social issues. That’s how I keep myself occupied. Live Law: Looking at some of your breakthrough judgments like the one that permits female priests to preach in a man's world and allowing women surrogate maternity leave, would you call yourself a feminist? Justice Chandru: There are a wide variety of cases I’ve worked on, including women’s issues. For instance, I wrote about this Anganwadi spinster who once lost her job because a child developmental officer had some grouse against her. She was declared schizophrenic and I decided to look into the matter. I called her to my chamber and said “Your case is a win-win situation. Whether or not you are schizophrenic, you will win this case. They can’t keep you away from work.” Under the Disability Act, even mental disabilities are counted. So, even a mentally disabled person cannot be sacked. For the first time in India, the mental handicap issue was looked at, even though she turned out to be normal. Yes, you can call me a feminist, I suppose. I’m proud to say that this High Court has given me the space to help women’s issues. Live Law: You have been called a "People's Judge" and with good reason. Do you think there is a need to increase legal awareness among the people? Justice Chandru: Awareness cannot come overnight. NGOs and women’s organizations must work for it. After 1975 when World Women’s Day was celebrated for the first time, a host of women’s issues were recognised. Legal aid service societies also create awareness but it also must come from the roots. I write my articles in Tamil so that more people read and there is a wider audience. I chose a women’s magazine to write in so that it reaches more women. The only problem is that there aren’t many formally educated women. Live Law: Is judicial reform the way to go? Justice Chandru: Judicial reforms only reinforce the written constitution. Kesavnanda Bharati case, for instance, played an important role in prohibiting the Executive from intervening with the Judiciary. However, the Emergency soon followed. So you can understand. Live Law: How was your experience of working with prominent figures like Justice Markandey Katju and Justice A K Ganguly? Justice Chandru: Justice Katju for some reason didn’t like me and opposed my elevation. He is heading an institute as a judge and he should not make such controversial statements so often. It is easy to make such statements. I think if he were to resign and do all such canvassing, then it’s fine. Media likes him because he has something to say every day. As for Justice Ganguly, he is a noble judge. I delivered a number of judgments, first with Justice A P Shah then with Ganguly. Live Law: What are your views on judicial accountability? Is the corruption of judiciary a myth? Justice Chandru: I believe that no institution should be beyond screening for corruption. Judiciary, like any other pillar of democracy, is accountable. Corruption is a major issue that should not only be defined as a cash order. Judicial corruption is much more than that. There’s “Uncle practice” and “Laal jhanda” practice. Uncle practice is “I help your son, you help my son” because legally you cannot help your son. Laal Jhanda is when you give a red card in a football field, you engage the son and your work gets done. If you ask me if the judiciary is corrupt, I will say yes. Yes, because the judiciary reflects the society. It also reflects all the ills of the society. Live Law: How different is the video piracy situation post the Ashok Kumar orders. Is this the way to go? Justice Chandru: I merely gave an injection to the video piracy case. See, the service provider makes “Ashok Kumar” a party. According to my intervention in the case, only the particular URL that contains the video is blocked from viewing. But the problem is larger and will have to be dealt with by the Supreme Court. Even now you go to any Middle East country and you will get new releases in cassette forms. Live Law: The media has been buzzing about your quiet retirement. Do you think judges ought to submit their assets? Should it be mandatory? Justice Chandru: Government servants must submit their assets, but a judge is a public servant and not a government servant according to many. Additionally, according to the 1971 Corruption Act if you have a disproportionate asset (like if someone earns 5 lakhs and owns 10 lakhs) you must explain your source or it will be declared as ill-gotten wealth by the court. So ideally, judges should recognise that and submit their assets before leaving. Live Law: What do you think is the solution of the pending backlog of cases in Indian Courts? Is fast-track always feasible? Justice Chandru: The existing back-log will take 330 years to be resolved. It’s impossible to achieve. The main requirement is a capable judge. A novice will take much longer than someone who is experienced in the field. First solution is to change the appointment system so that more capable people are appointed. Second, judges must evolve their collective strategy to resolve matters. Third, increase the number of judges and give them holidays on rotation so that if I want leave in the month of February I should cover for someone else in June. But the problem is that no one is interested in changing the system. Then there are the lawyers. There is a serious monopoly of work there. Around 20% of the lawyers control 80% of the work. Also, lawyers are usually interested in fresh cases than old cases leaving the back-logs unattended. And then there is the tendency to strike in Tamil Nadu. Live Law: Speaking of strikes, from a being fiery politically active youth to someone who believes in work ethics and not hartals, what changed? Justice Chandru: See the organised staff now has started protesting for everything. The court needs to be open on all days, weekdays or weekends. So I realised it is not a lawyers’ issue, rather it is a social problem at this stage. Within the monopoly of lawyers, there is an obvious unrest because a lawyer who does not have work will naturally show frustration through such demonstrations. The Bar Council wants to maintain status quo and hide their inefficiency, but strikes don’t help their real issues. Live Law: Our courts still suffer from a colonial hangover. According to a report, you didn't approve of the common court term "My Lord". Are we slow? Justice Chandru: The Bar Council has framed rules about how to address judges in courts, but that has not been put in place. The problem is, even now you are allowed to call a judge My Lord, and maybe if you don’t the result may be different for you. This has gone up to ridiculous levels of servility where a junior judge would call a senior judge My Lord. I have objected to this but then the general explanation is that judges like it. Live Law: A message for the people from the people’s judge? Justice Chandru: We cannot ignore the judiciary in a civilized world. Therefore, for the interest of all, the judiciary will have to be strengthened. Judiciary is not beyond accountability and there must be people to shape the institution. The constitutional philosophy must be engrained in every judge.